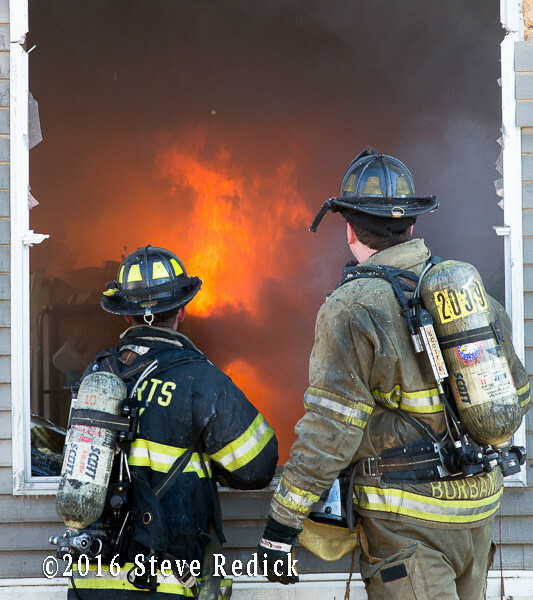 I took in a job in an area I seldom get to. 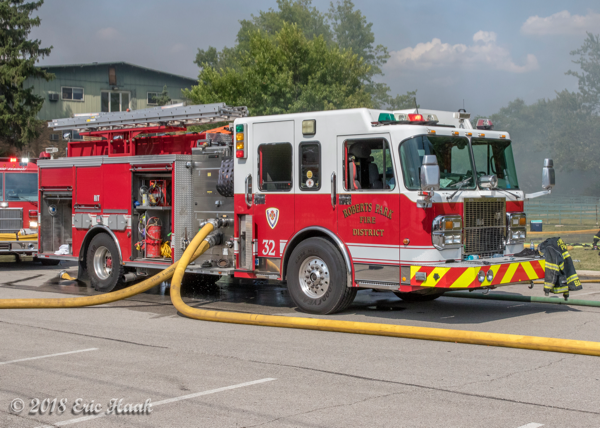 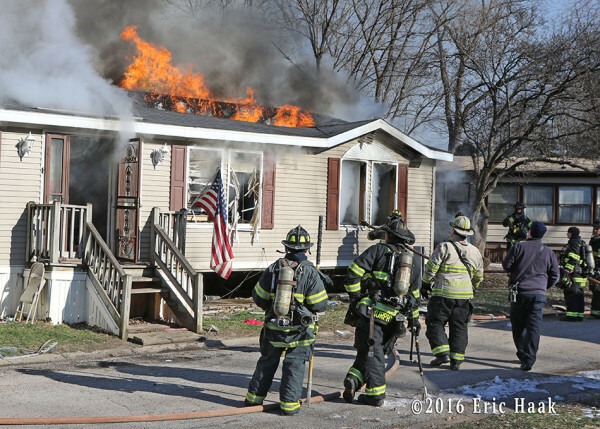 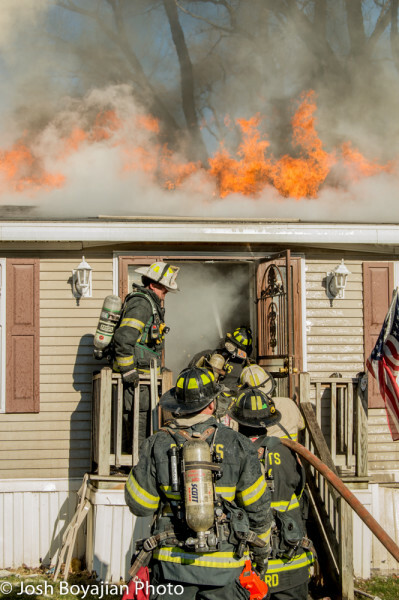 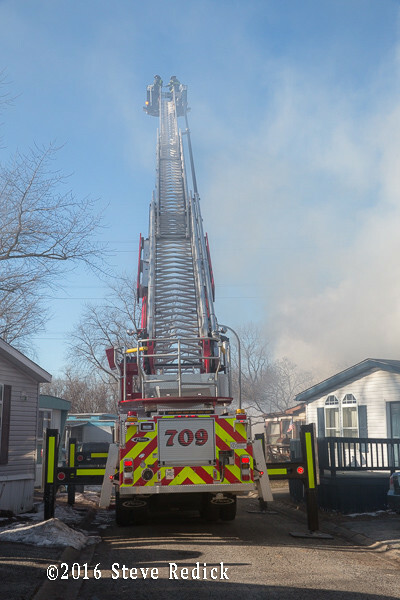 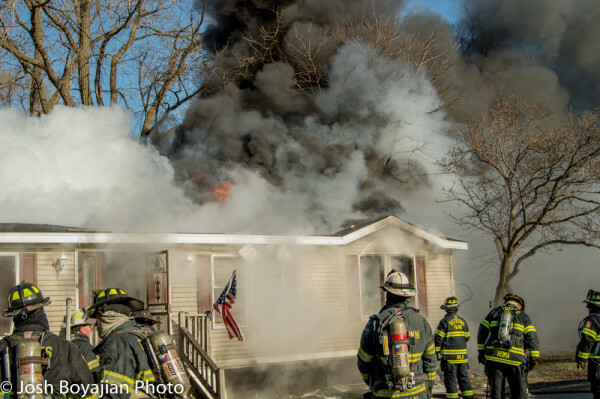 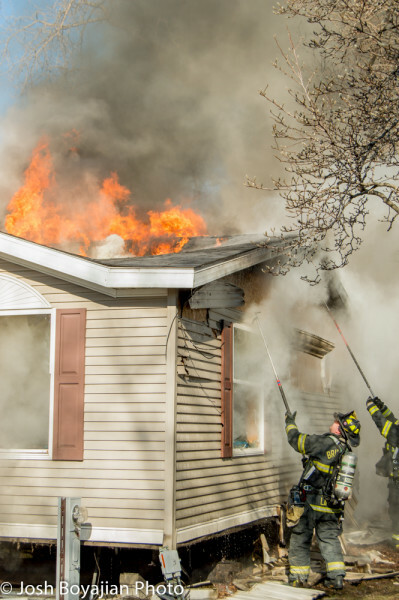 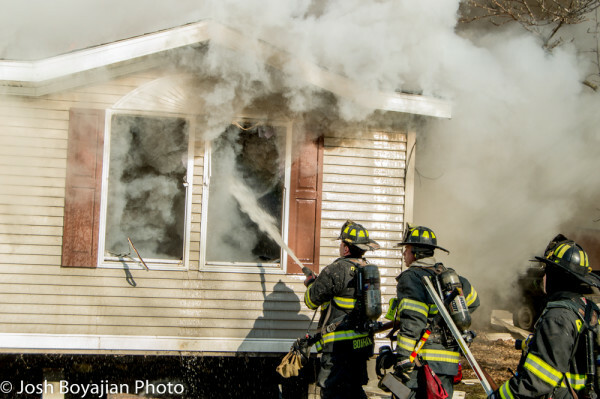 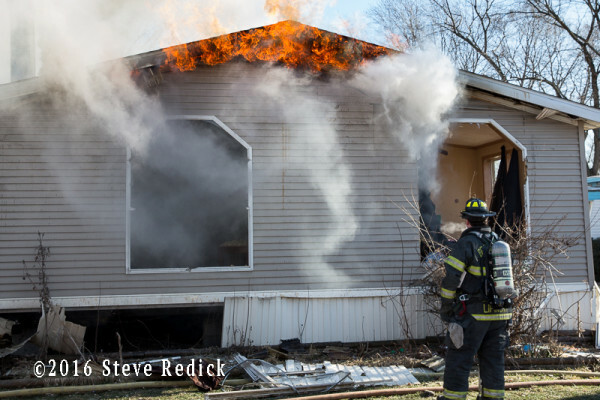 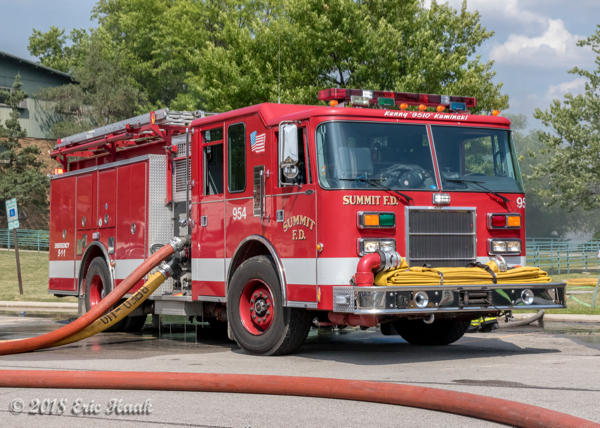 A full-still response for fire in a double-wide mobile home inside a large trailer park, in the town of Justice, IL served by the Roberts Park Fire Protection District. 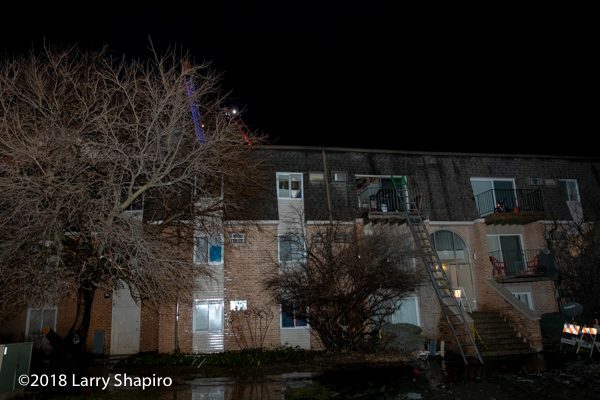 Extreme cold conditions coupled with severe water problems made this an extended job. 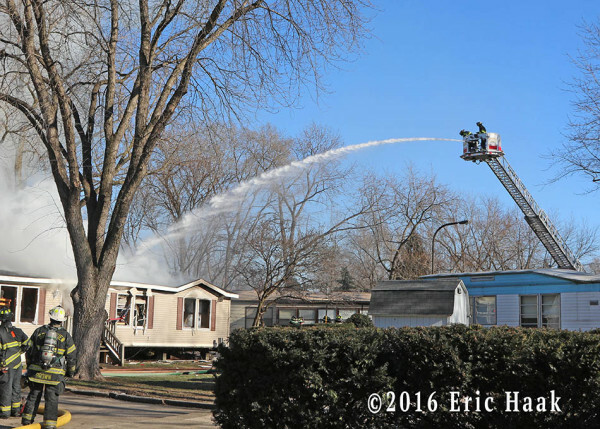 They used booster tank water from two engines and finally were able to find a working hydrant several hundred feet away. 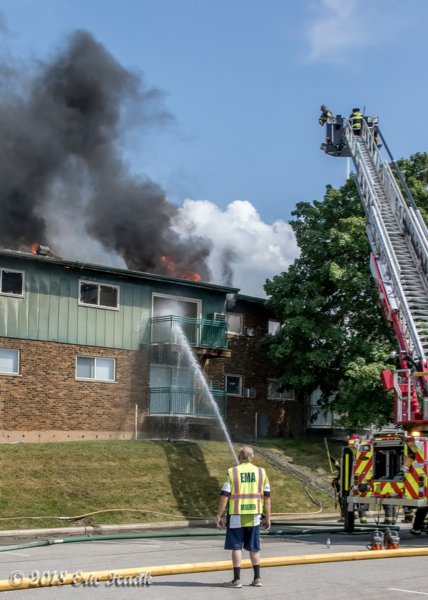 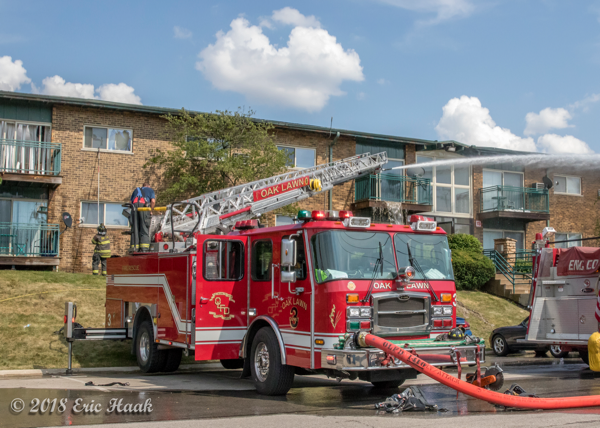 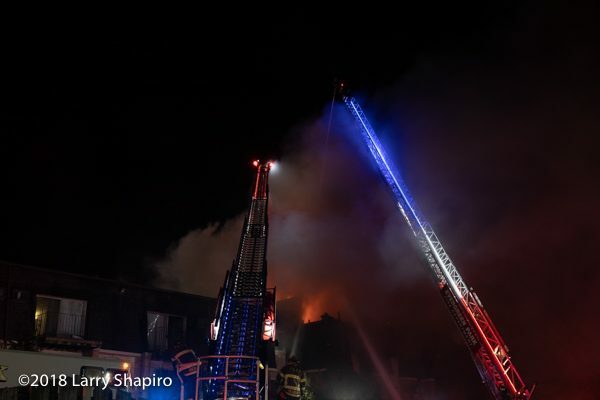 Eventually a tower ladder was set up and used as the collapsed roof area was preventing penetration of ground-based exterior streams. 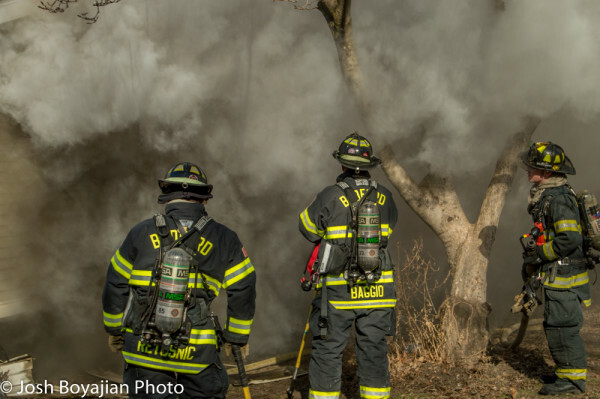 All in all a tough job on a miserable day. 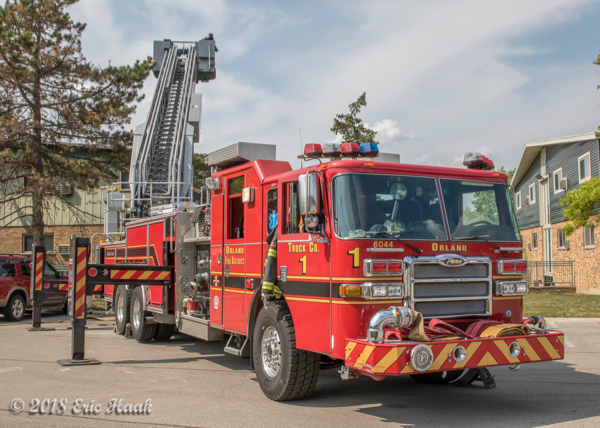 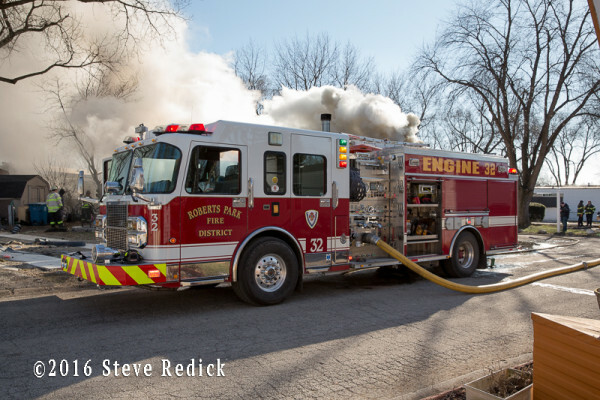 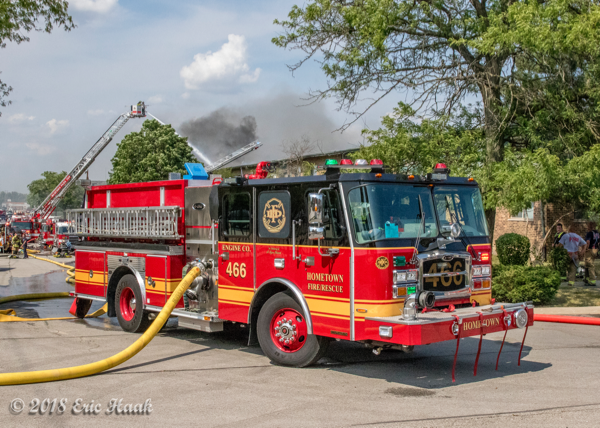 The Roberts Park FPD was dispatched for a trailer fire at 775 Maple Lane in Justice, IL. 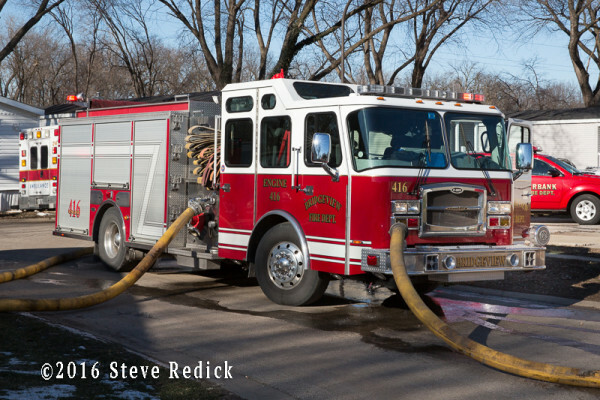 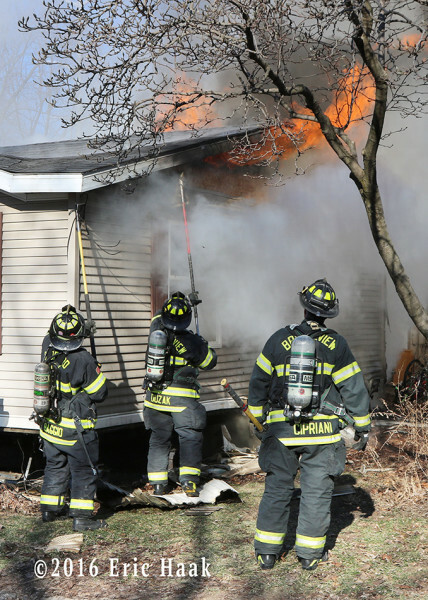 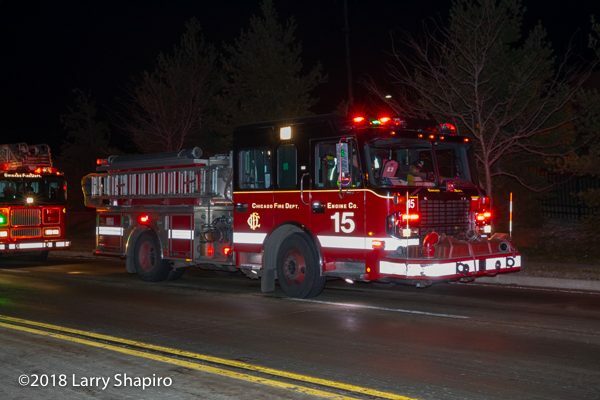 While enroute, the first engine reported a header and upgraded to a working fire response. 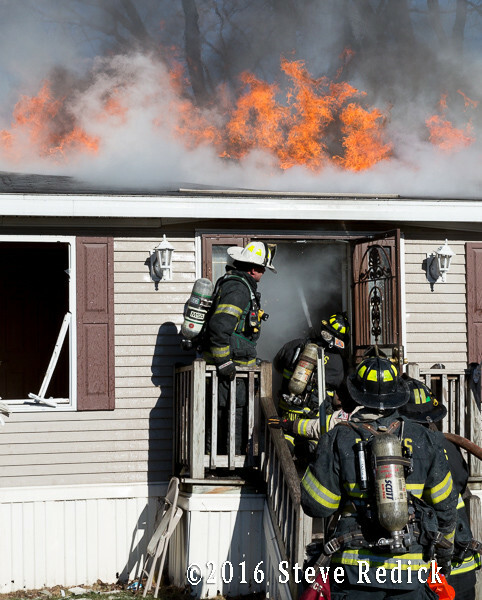 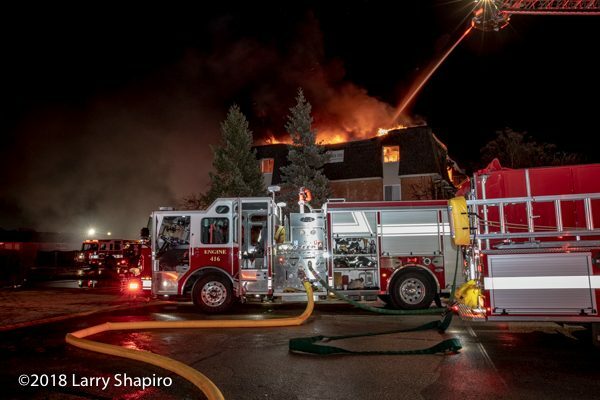 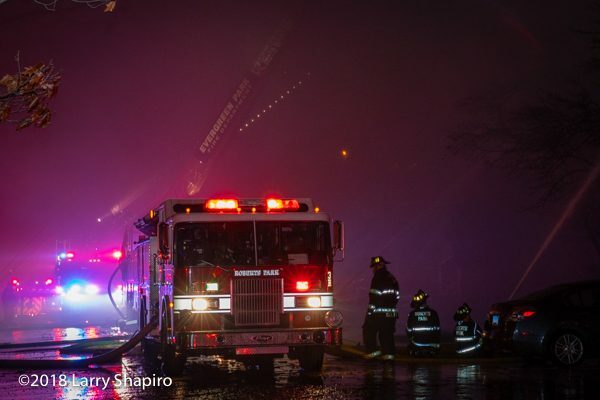 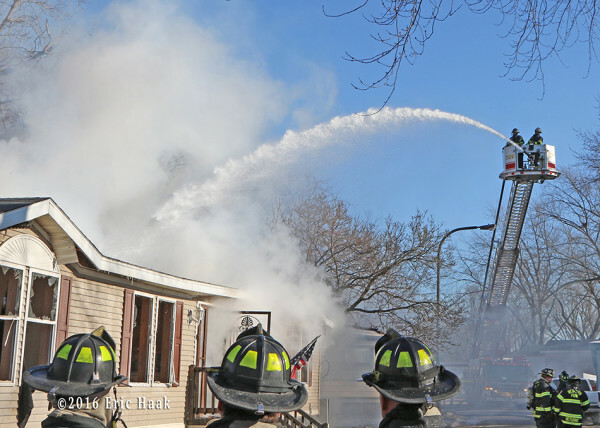 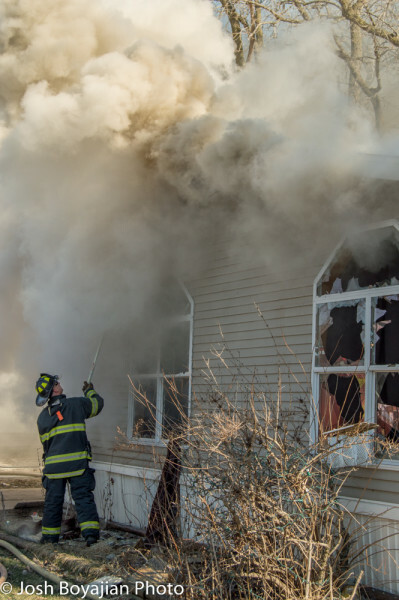 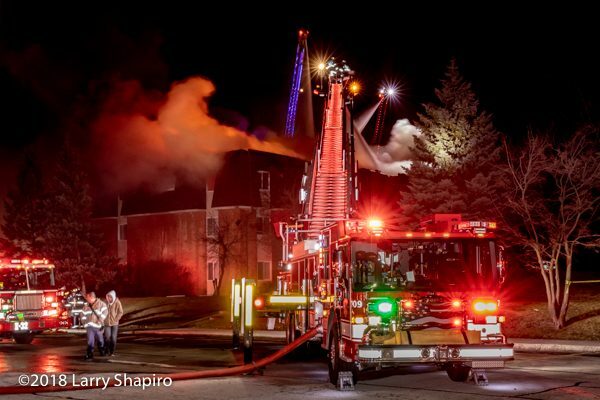 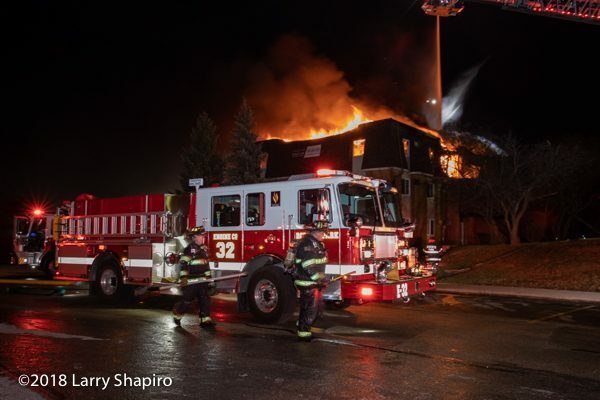 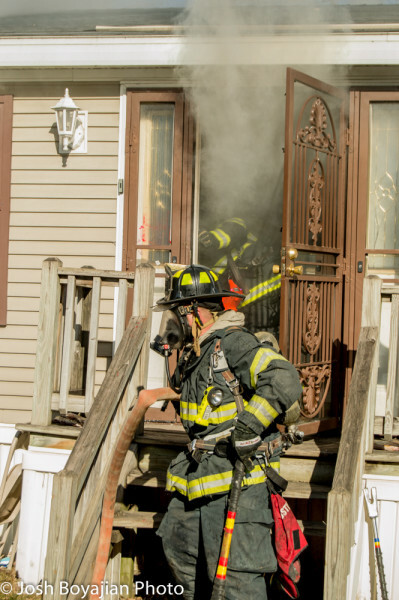 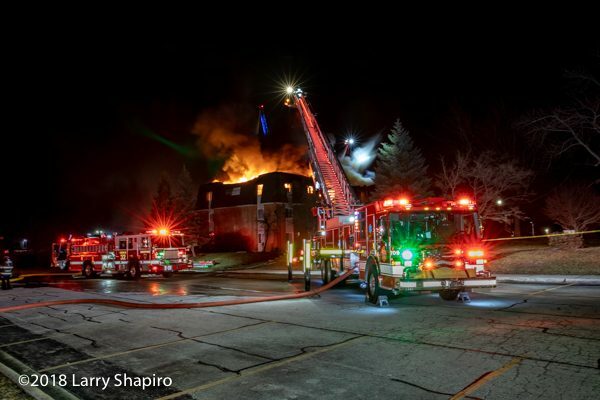 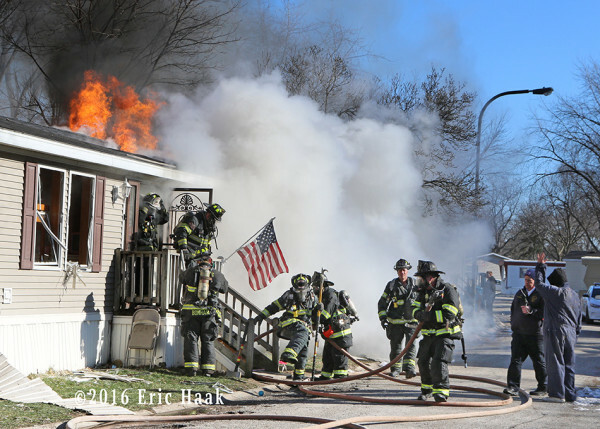 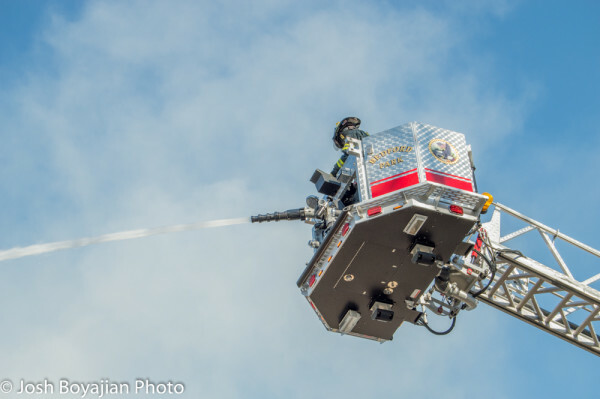 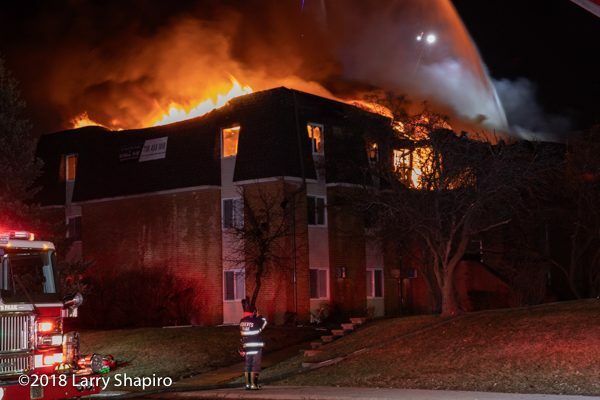 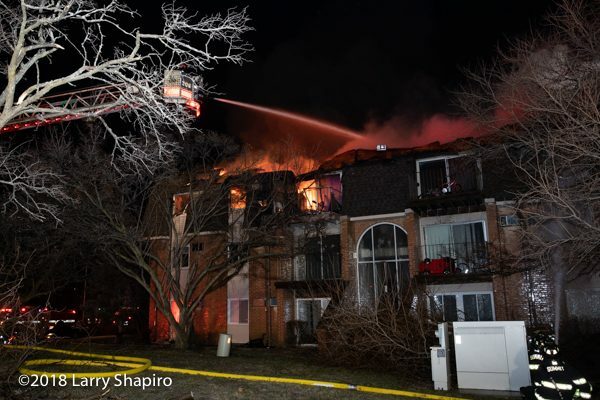 Companies were faced with very cold temperatures, heavy fire conditions, and bad hydrants. 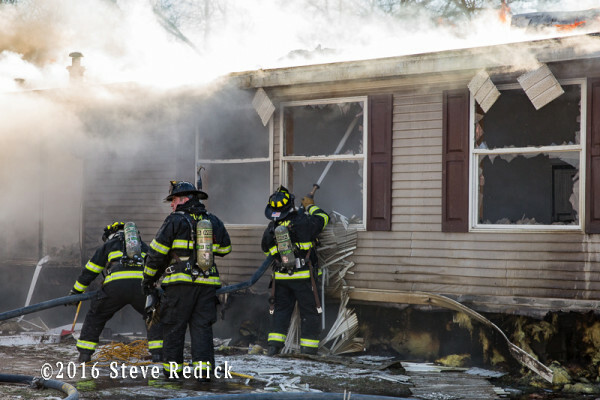 Here are some shots from the scene. 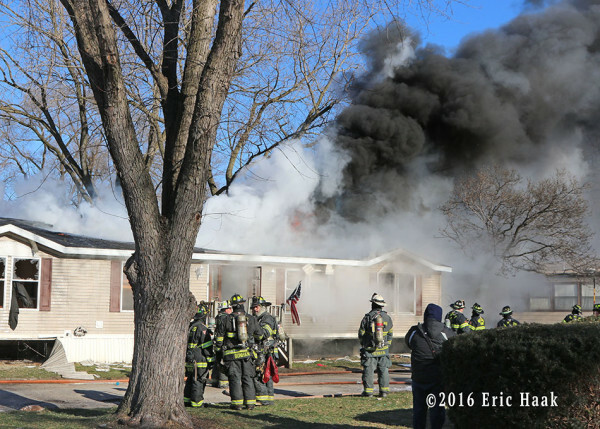 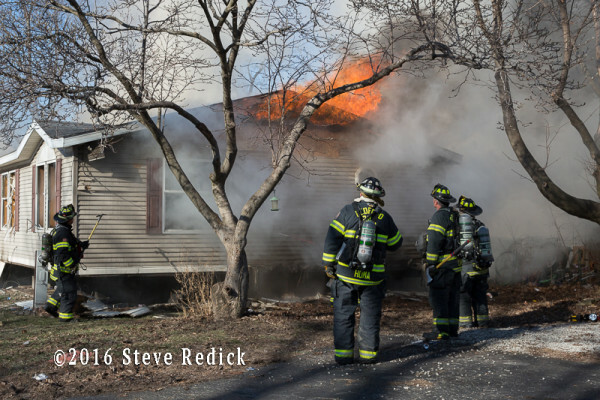 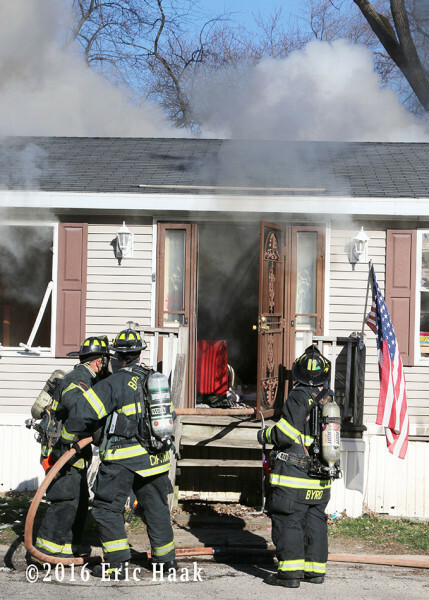 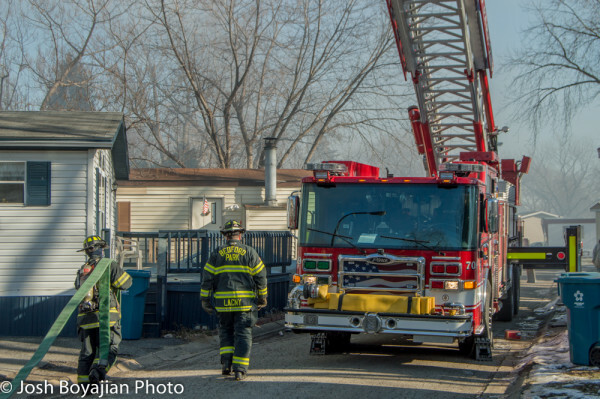 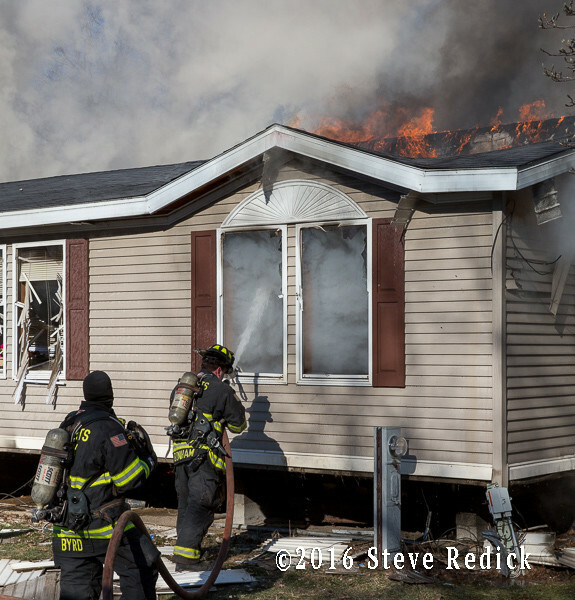 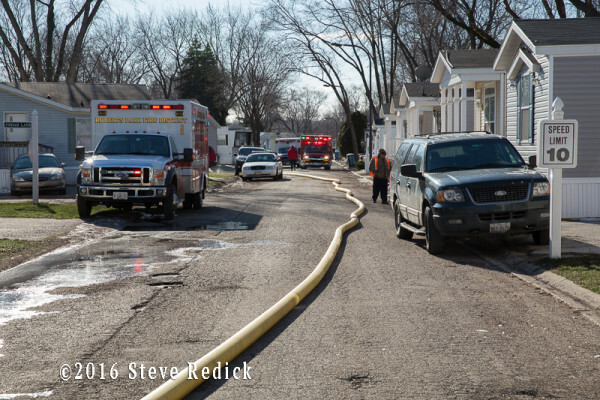 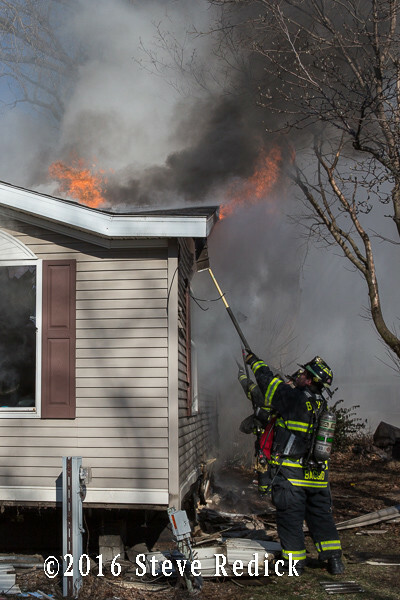 A working fire in an occupied mobile home in the Sterling Estates Mobile Home Park in Justice, IL on Monday (1/18). 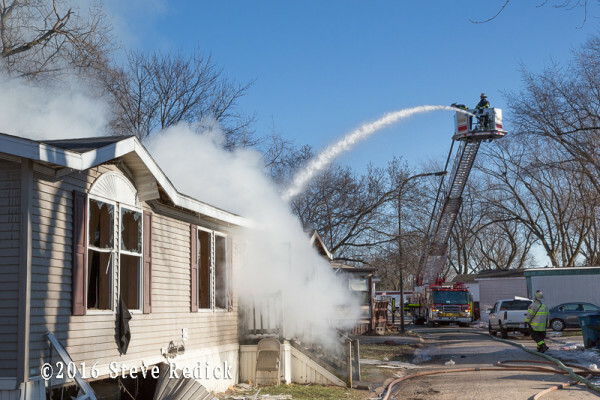 Fire came in just before 1300 hrs. 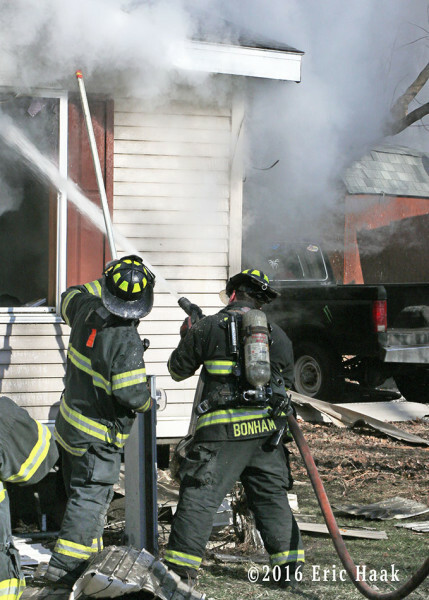 After an initial interior attack, companies went defensive.